Completing a Free Application for Federal Student Aid (FAFSA) is key to accessing higher education for many high school seniors. Research shows that students who complete a FAFSA are more likely to attend a two- or four-year college or vocational/technical school. The goal of the Missouri FAFSA Completion Project is to increase the number of students in Missouri who successfully complete a FAFSA. High school administrators and counselors can access a secure webpage to view their High School FAFSA Report in order to offer assistance to students who need help completing a FAFSA. This step-by-step tutorial provides the information available through the Missouri FAFSA Completion Project. To protect student privacy, the High School FAFSA Report is available beginning in early October, when FAFSA information first becomes available for seniors, through June 30, when the seniors have graduated and the high school's working relationship with the student has ended. Aggregate information (below) shows the percentage of seniors completing the FAFSA at all public high schools in Missouri. Participation is at the district level. 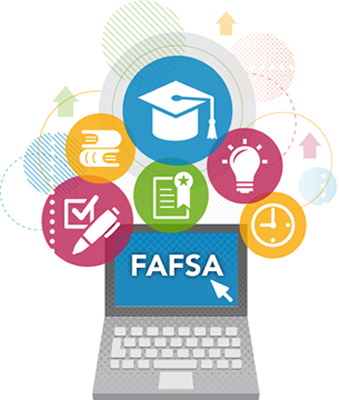 Superintendents enter into the FAFSA Data Access Agreement with the commissioner of higher education and designate the district employees authorized to access the student-specific data. Each authorized employee must register for a user ID and password. Click the “Participate” button for instructions on completing the agreement and registering for access to the High School FAFSA Report. Not sure if your district is already participating? The Participating Districts list is updated frequently. Need to add or remove authorized district employees from the FAFSA Data Access Agreement (Attachment B)? Complete and submit an amended Attachment B. To access the High School FAFSA Report your district must have a signed FAFSA Data Access Agreement on file with MDHE. You also must have registered for and received a user ID and system-generated password from DHE Security. You will be prompted to change your password the first time you log in. Click the “Participate” button for instructions on obtaining a user ID and password. Click the "High School FAFSA Report Log-In" button to access the report. FAFSA completion information for the 2017 seniors will be available beginning in late October or early November 2016. Click this button for easy access to the online FAFSA. Click this button to learn about participating in Missouri's FAFSA Frenzy program, which provides additional resources to help high schools offer more robust FAFSA completion assistance to their seniors. The Number of Seniors column is updated periodically as new data becomes available. * is shown in place of counts that are five or less, including zero.